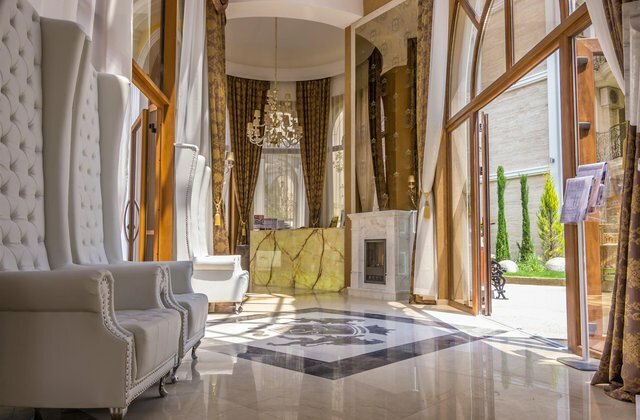 Have you ever dreamed of owning a luxury seaside property in Bulgaria? Imagine a sun-kissed location, dazzling golden beaches, and air that’s the epitome of pure. Imagine an utterly quiet spot that’s just a stonecast from a buzzing nightlife. Imagine a feeling of total relaxation with your beloved ones, family, or friends. And all this without breaking the bank, taking care of legal issues, or worrying about visa settlement. Each complex is constructed in an ecologically clean location, surrounded by natural parks, flower beds, sea, and an abundance of clean air. For your own convenience, all Harmony Suites residential areas come with a plenty of facilities. You can enjoy a fully-equipped fitness club, numerous relaxation areas, and cozy BBQ spots. We pay special attention to your kids, a testament to which are the multiple children’s playgrounds and a mini-zoo. The infrastructure of Harmony Suites has been designed to make you feel like you’re walking in your boldest dreams. 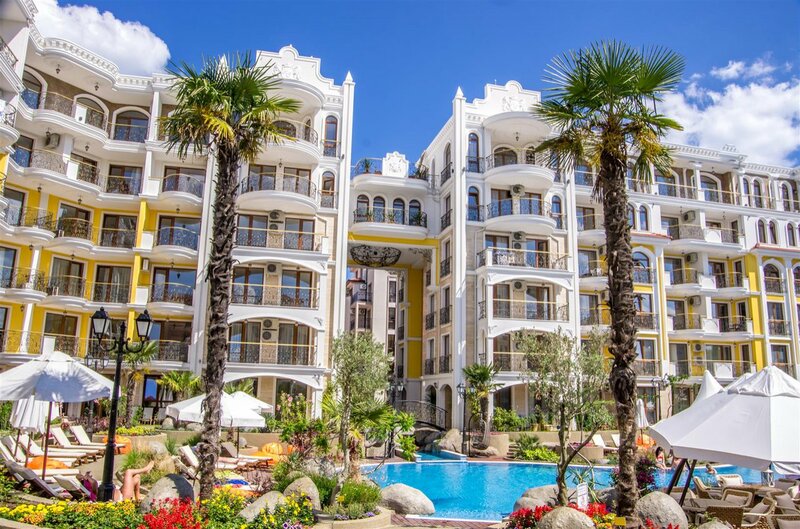 All complexes sit in the most prestigious areas of the Bulgarian Black Sea coast in quiet green spots, just a few hundred meters from the sea. No noise from the buzzing nightlife whatsoever and a short walking distance from banks, cafes, pharmacies, supermarkets, and everything you need to lead a modern life, all year round. And if you’re a sport and adrenaline junkie, there’s a beautiful water park with a tennis court within a 15-minute walk from the complexes. Harmony Suites takes great pride in its residential complexes. Our construction complies with all necessary regulations. And for your utmost comfort, our staff, expertise, and equipment allow us to build high-quality, state-of-the-art facilities. In the construction, we use only natural materials, including Austrian Wienerberger bricks, Travertine stone, and wrought iron (in the balcony finishing). For your convenience, we completely abandoned the use of drywall. Instead, we use a high-pressure plastering machine. Harmony Suites is not just suites. It’s a philosophy. A philosophy of high-quality construction, attention to the tiniest detail, and implementation within the specified time of every project. Currently, the company has already built 11 residential complexes. Each of them comes with numerous perks for you and your children, including indoor and outdoor swimming pools of different sizes, table tennis, jacuzzi and sauna, a gym with a personal trainer and a massage therapist (on request). The intricate design of the residential complexes appeals greatly to kids, thus making Harmony Suites irresistibly attractive for families with children. Your kids would love the Hobbit’s Cave, the amphitheater with a large chessboard, as well as the waterfall on the artificial river, graciously crisscrossing the complex. Facilities You Can Use at No Extra Cost? Harmony Suites is the perfect choice for every individual. Our trained staff will assist you in choosing the best option for hiring or purchasing a property, according to your personal needs and specific desires. Ordering food from the complex’s restaurants. Operating in the residential real estate construction in Bulgaria since 2007. One of the leading real estate developers on the Bulgarian market. Part of the Bulgarian Investment and Construction Association (BICA). Part of the National Real Estate Association (NREA). Multiple appearances in the “Building of the Year in Bulgaria”. In Harmony Suites, you’ll be treated like royalty all year round. Interested in buying a luxurious property in Harmony Suites, without breaking the bank?